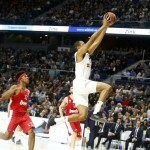 In the Round 9 of the EuroLeague Madrid lost, for the first time this season, in Piraeus (Athens urban area) against Olympiacos. The Final score was 88 – 83. The Match of the round was played in Piraeus (Greece), where the home team managed to surprise the actual champion of the best European club competition. 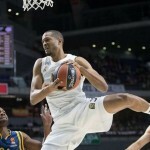 The ACB Team lost for the first time in the EuroLeague this season. 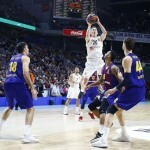 From the beginning of the game, the Reds imposed their rhythm and only in the third quarter the away team was better and in that part of the game they got back (the score was 65 – 65 after the third quarter), but it wasn’t enough for Madrid to score its 9th victory from the same numbers of rounds. After the first quarter the team from Piraeus was leading by 7 (29 – 22) and after the first 20 minutes, by 11 (52 – 41). Due to the fact that after the third quarter no one was leading, the fourth quarter was crucial. And in the last 10 minutes the home team showed the knowledge and the strength against the EuroLeague champion. 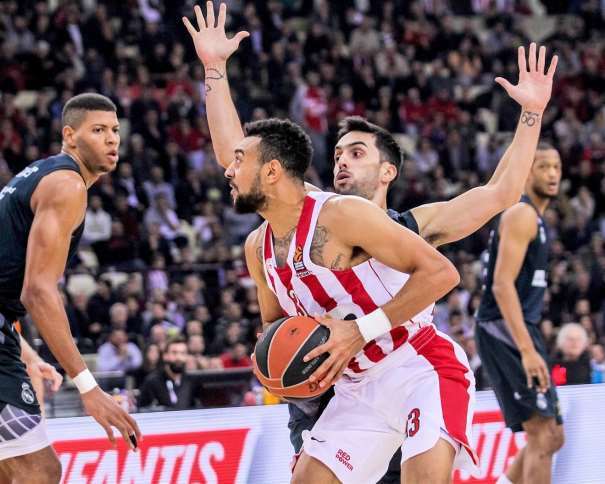 Looking at index ratings, two players dominated the court for Olympiacos, the Serbian center Nikola Milutinov (ex Partizan player, seasons 2012 – 2015) and Nigel Williams-Goss (played in Partizan last season). The American guard scored 23 points with 6 rebounds and 4 assists, while Milutinov finished the match with 8 points, 9 rebounds, 3 assists and 2 steals. 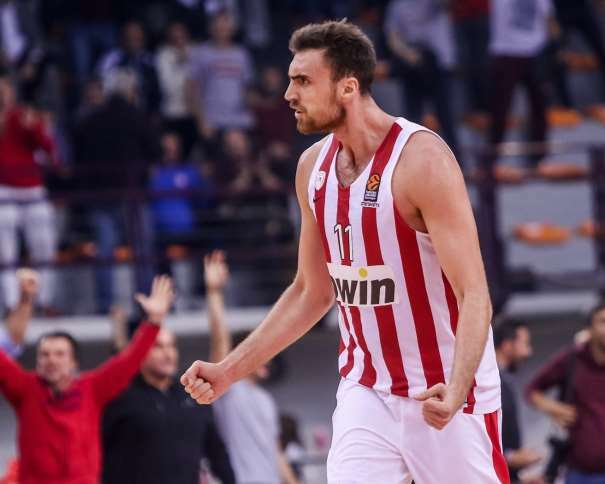 Their teammate and captain of the Greek team, Vassilis Spanoulis, scored 20 points. Janis Strelnieks added 15 and Zach Leday ended the game with 12. In Madrid, three players had double-digit score. The top scorer was Jaycee Carroll with 16 points, Facundo Campazzo scored 14 and Rudy Fernández 12. 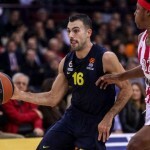 In the others games of the night, Efes was better than Darussafaka with a score of 88 – 93, Fenerbahce won 70 – 74 against Maccabi (in Tel Aviv) and Munich won 74 – 89 against Gran Canaria.